Intel Corporation (INTC): What Do The World’s Richest Investors Think? Is Intel Corporation (NASDAQ:INTC) undervalued? The smart money is in a bearish mood. The number of bullish hedge fund positions decreased by 2 in recent months. In the financial world, there are tons of metrics market participants can use to monitor the equity markets. A pair of the most under-the-radar are hedge fund and insider trading interest. At Insider Monkey, our research analyses have shown that, historically, those who follow the best picks of the top fund managers can trounce their index-focused peers by a very impressive amount (see just how much). Equally as integral, optimistic insider trading activity is a second way to break down the financial markets. As the old adage goes: there are lots of reasons for an upper level exec to sell shares of his or her company, but just one, very obvious reason why they would behave bullishly. Plenty of empirical studies have demonstrated the impressive potential of this method if shareholders know where to look (learn more here). With all of this in mind, we’re going to take a look at the recent action encompassing Intel Corporation (NASDAQ:INTC). What does the smart money think about Intel Corporation (NASDAQ:INTC)? In preparation for this year, a total of 48 of the hedge funds we track were long in this stock, a change of -4% from the previous quarter. With hedge funds’ sentiment swirling, there exists a few notable hedge fund managers who were increasing their holdings considerably. When looking at the hedgies we track, First Eagle Investment Management, managed by Jean-Marie Eveillard, holds the largest position in Intel Corporation (NASDAQ:INTC). First Eagle Investment Management has a $519.4 million position in the stock, comprising 1.9% of its 13F portfolio. Sitting at the No. 2 spot is Jim Simons of Renaissance Technologies, with a $402.8 million position; 1.2% of its 13F portfolio is allocated to the company. Some other peers that are bullish include Ken Fisher’s Fisher Asset Management, Peter Rathjens, Bruce Clarke and John Campbell’s Arrowstreet Capital and Phill Gross and Robert Atchinson’s Adage Capital Management. Due to the fact that Intel Corporation (NASDAQ:INTC) has faced a declination in interest from the smart money, it’s safe to say that there lies a certain “tier” of money managers who sold off their full holdings in Q4. Intriguingly, Paul Ruddockáand Steve Heinz’s Lansdowne Partners cut the biggest investment of the “upper crust” of funds we monitor, valued at an estimated $160.8 million in stock.. Douglas W. Case’s fund, Advanced Investment Partners, also said goodbye to its stock, about $14.5 million worth. These bearish behaviors are interesting, as total hedge fund interest dropped by 2 funds in Q4. 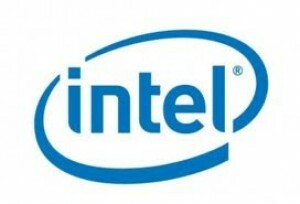 What do corporate executives and insiders think about Intel Corporation (NASDAQ:INTC)? Insider buying is particularly usable when the primary stock in question has seen transactions within the past 180 days. Over the last six-month time frame, Intel Corporation (NASDAQ:INTC) has seen zero unique insiders purchasing, and 6 insider sales (see the details of insider trades here). Let’s also examine hedge fund and insider activity in other stocks similar to Intel Corporation (NASDAQ:INTC). These stocks are STMicroelectronics N.V. (ADR) (NYSE:STM), NXP Semiconductors NV (NASDAQ:NXPI), Avago Technologies Ltd (NASDAQ:AVGO), Maxim Integrated Products Inc. (NASDAQ:MXIM), and Texas Instruments Incorporated (NASDAQ:TXN). This group of stocks are the members of the semiconductor – broad line industry and their market caps resemble INTC’s market cap.